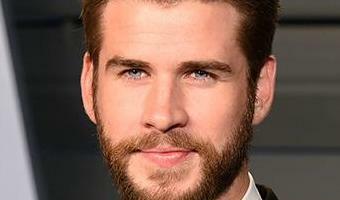 Billy Ray confirms: Miley Cyrus weds Liam Hemsworth in Franklin, Tennessee. Mariah Timms Nashville Tennessean Published 6:09 PM EST Dec 27, 2018 After a week of speculation, Billy Ray Cyrus confirmed his daughter Miley Cyrus married longtime fiance Liam Hemsworth in Tennessee this week. Her father said "Congratulations Miley Cyrus and Liam Hemsworth! Long live love!" in a Facebook post Thursday, accompanied by a picture of Miley and her mother Tish Cyrus. The bride shared black-and-white images to Instagram Wednesday, which had people wondering if the two had tied the knot. The two wed in Tennessee, according to a release from her gown's designer.. When they wed, she wore Vivienne Westwood, the fashion labeled confirmed to USA TODAY Thursday in a release. The off-the-shoulder, ivory gown which hugged Cyrus' small waist is The Long Cocotte Dress, a part of the brand's made to order section of its bridal line, the designers indicated. The corseted design constructed of silk satin retails for $8,600 and is … [Read more...] about Billy Ray confirms: Miley Cyrus weds Liam Hemsworth in Franklin, Tennessee.